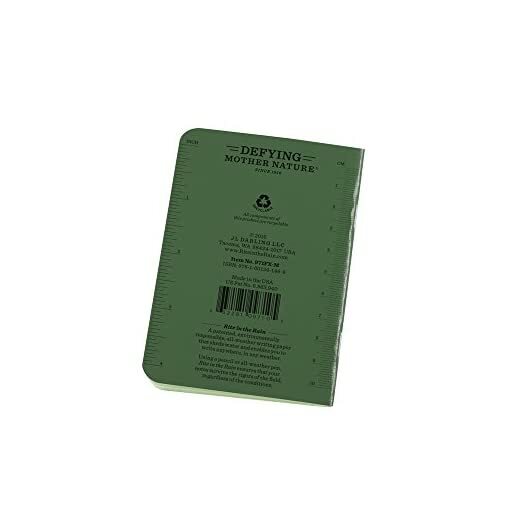 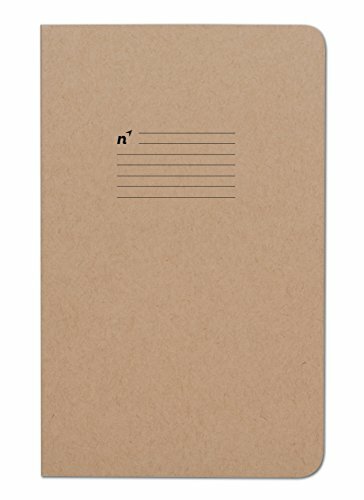 WEATHERPROOF PAPER: 24 pages / 12 sheets per notepad. Rite in the Rain paper that won’t turn to mush. 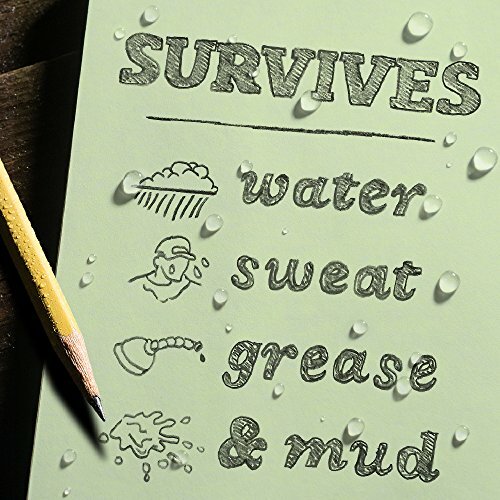 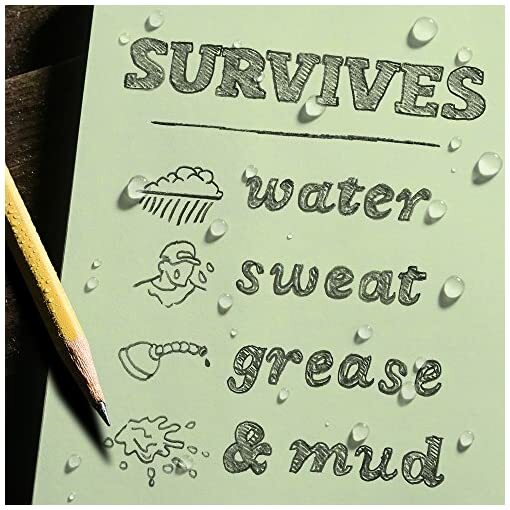 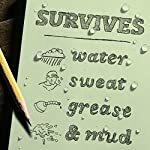 It repels water, sweat, grease, mud, and even survive the accidental laundry mishap and more. 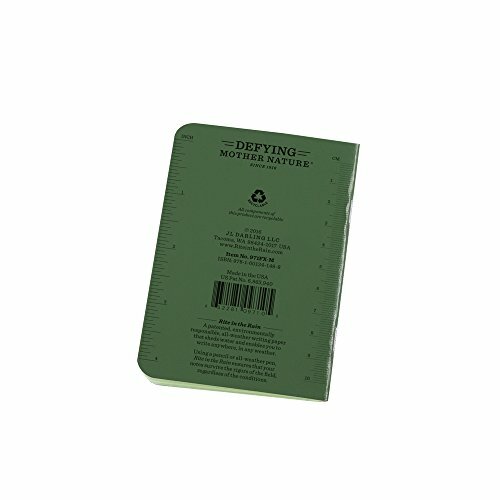 BINDING: Tough nickel plated rust resistant staples hold the notebook together. 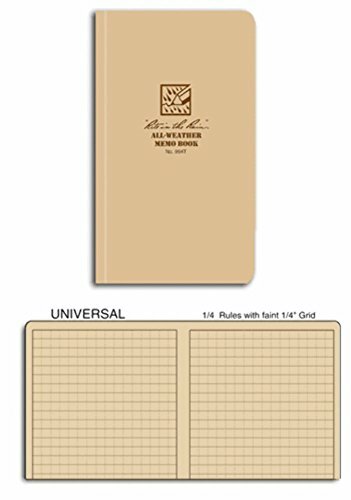 Our 4 5/8″ x 3 1/4? 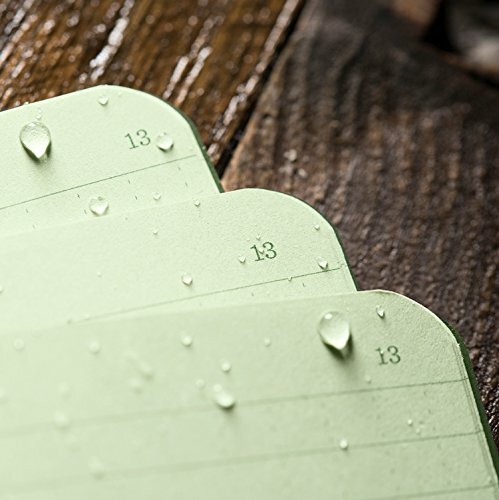 mini-stapled notebook is fully prepared for any challenge Mother nature throws at it. 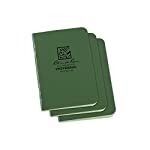 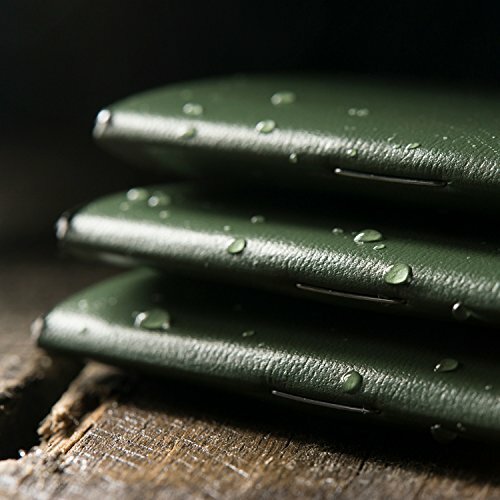 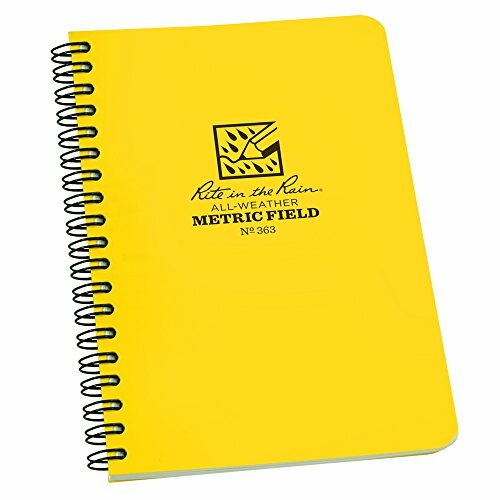 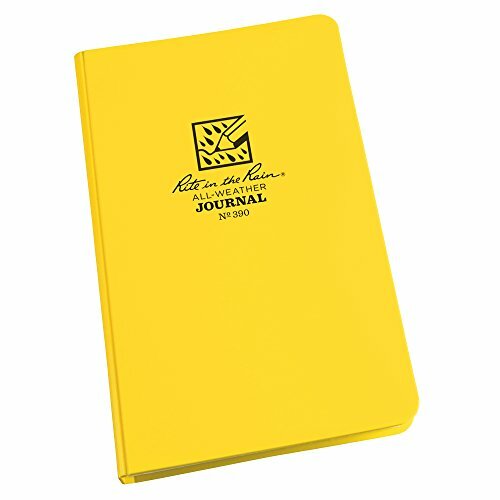 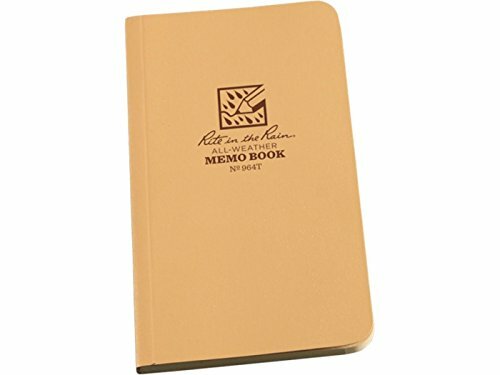 This book comes in a compact but comfortable size for taking plenty of notes, and our Rite in the Rain all-weather paper can handle any weather encounter in the field. 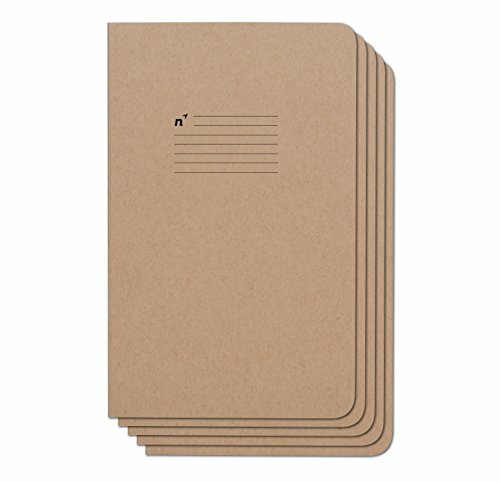 The Nickel plated staples won?t rust and the notebook will conform to any pocket or pack. 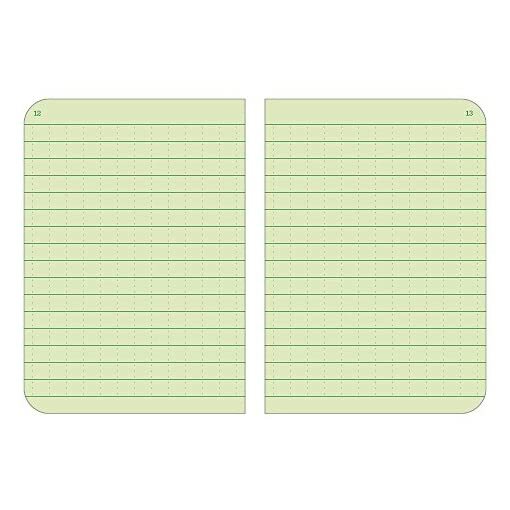 The notebook comes equipped with 24 pages (12 sheets). 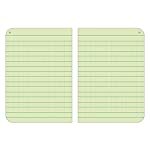 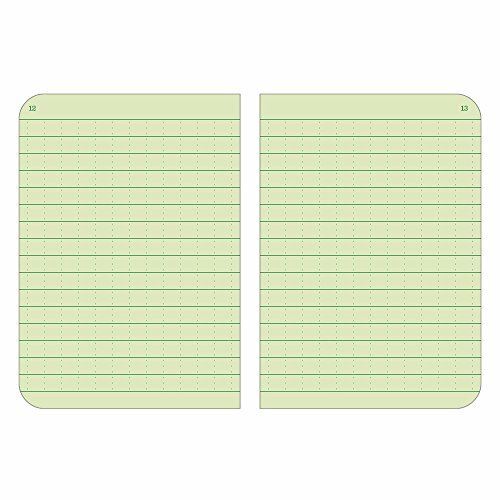 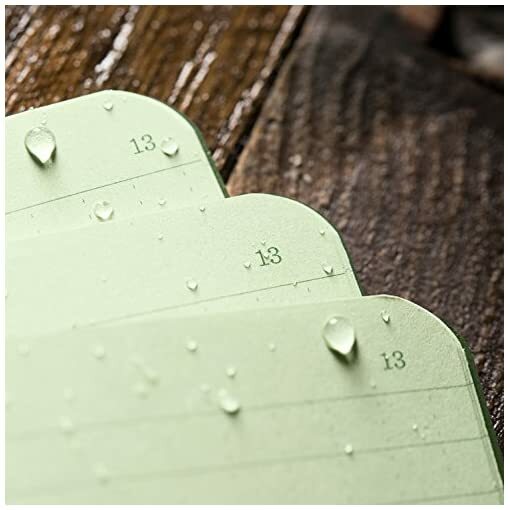 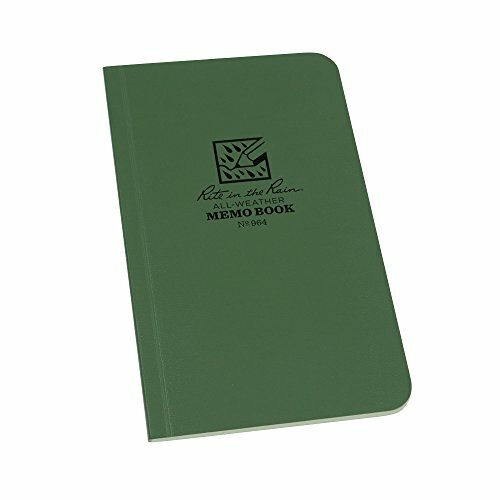 The universal page pattern is printed in green ink on green 32# Rite in the Rain paper. 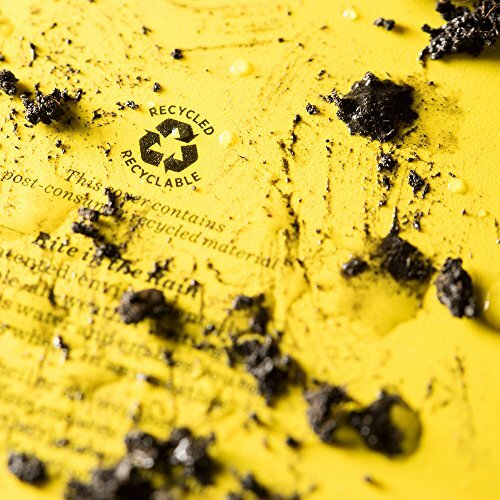 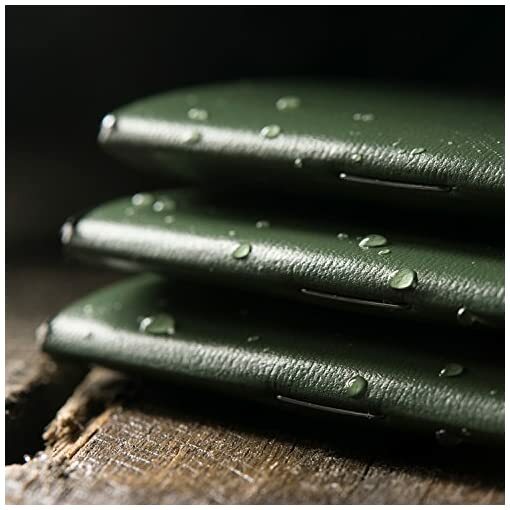 RECYCLABILITY: In spite of Rite in the Rain durability, it is completely recyclable. 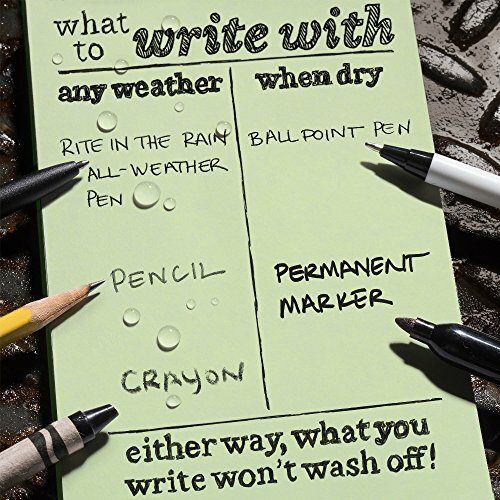 Simply Recycle Rite in the Rain as you do other white or printed papers.